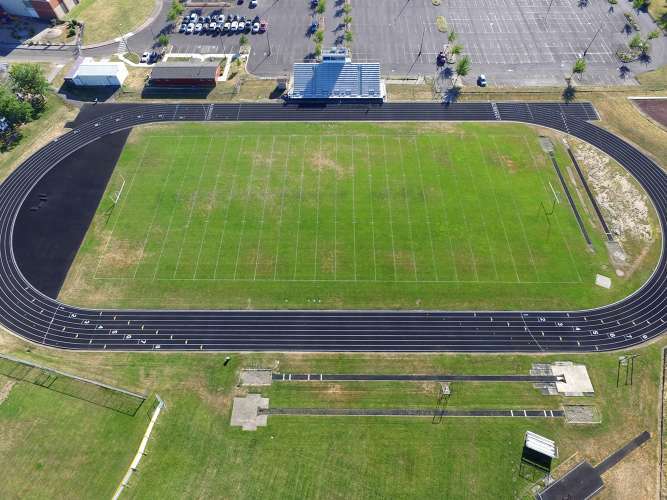 Football stadium is equipped with lights, scoreboard, home and visitor grandstands, and easy access to locker rooms. 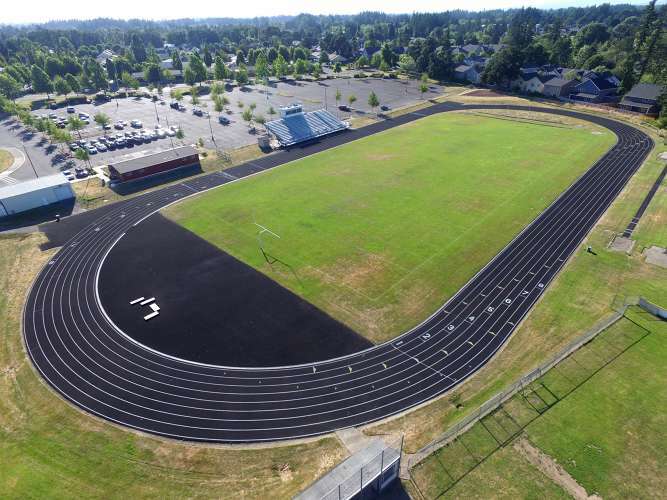 The stadium also features a state-of-the-art eight lane track. The outfield grass is available for other sports as well.